The NHS saw more and more of its hospitals and regional organisations tip into financial crisis in 2017. Yet this worsening picture failed to ignite public and media concern as it had in previous years – the issue of the Brexit ‘soap opera’ unquestionably displacing all other issues from the headlines. Nevertheless, calls grew for a significant uplift in NHS funding – and for the first time, the UK pharma industry added its voice to these demands. The issue came to the fore during the election campaign in June, (turning into a blunder of historic proportions for Theresa May), which was dominated by the issues of Brexit and NHS funding, and a bungled ‘Dementia Tax’ policy from the Conservatives. The issues of Brexit and the NHS were already linked of course: the pro-Brexit Leave campaign of 2016 had, after all, promised an extra £350m could be spent on the health service every week instead of the EU membership. During the general election campaign less than 12 months on, the UK pharma industry association the ABPI made an unprecedented call for NHS spending to be raised and linked to GDP. Pharma’s argument was (and remains) that money spent on the NHS not only generates health, but also wealth by supporting UK life sciences. In its own ‘election manifesto’ the ABPI pointed out that the UK spends a total of 9.9% on healthcare, placing it sixth out of the G7 nations for healthcare investment, with only Italy spending less. It argued that investment in the NHS should be increased to 11.3% of GDP – an estimated £22 billion extra a year – by the end of the next Parliament. It said the UK should also aim to be in the top quartile of OECD countries for patient access to new cost effective medicines and vaccines by 2022. The ABPI was echoing the views of NHS leaders and think thanks on overall NHS funding, and this was the first time it had backed such a target. However the arguments were brushed aside by the government, which insisted spending on the NHS was at an historic high. Indeed, a new study by Nuffield Trust and the Health Foundation concluded that updated calculations showed the UK was spending above the EU15 and OECD levels after all. However Simon Stevens had a clear riposte to that number-crunching in a speech just before the Budget on 22 November. The answer was clear even before Budget day: no, new funding of this magnitude could not be found. The uncertainty surrounding Brexit began to damage the UK’s economy in 2017, and chancellor Philip Hammond was still focused on reducing the national debt. So while some money went to hold the NHS crisis at bay in November, he also put aside money to brace for a Brexit-sized blow to the economy. The Treasury view of the health service – as an inefficient and unquenchable consumer of public finances – continues. True, its role as an engine for the life sciences sector is now understood in government, but it doesn’t believe this is a strong enough reason to increase spending on medicines – despite protest to the contrary from pharma. 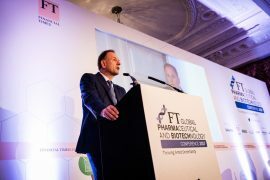 Simon Stevens pointed out to an industry audience at the FT conference that the NHS medicines bill rose 7% in 2016, 2-3 times higher than the overall NHS funding rate. This cost isn’t being passed on to the NHS because of the PPRS, the latest version of the pricing agreement has capped growth in drug spending since 2014. NHS England moved to tighten the drugs budget even further in 2017, introducing the Budget Impact Test in April. This allows NHS England to open price negotiations on any NICE-approved drug which may cost more than £20 million in any of its first three years on the market. 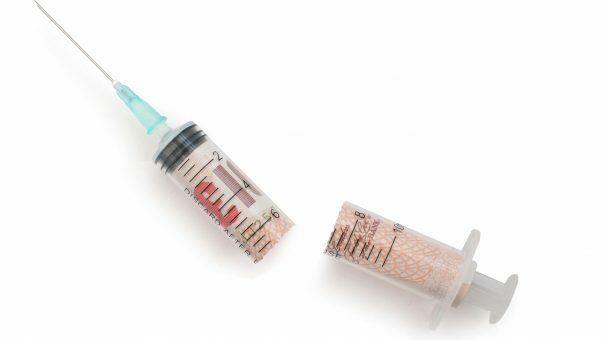 It also introduced a new stricter cap on cost effectiveness in rare disease drugs, much to the dismay of pharma and patient groups. In fact, the ABPI and its leading companies were so incensed by the measure, it mounted a legal challenge in the form of a judicial review. It said this had been necessary after “months of raising concerns with NICE, NHS England and the Department of Health and offering to work constructively on alternative proposals” fell on deaf ears. However the application to have a judicial review was roundly dismissed by a senior judge, and the ABPI had to concede an embarrassingly defeat. Despite this high-profile clash, it wasn’t all conflict between the industry and the UK government. NHS England is also pioneering outcomes-based deals via a new Commercial Development Unit, which is likely to play a much bigger role in 2018, and companies have signalled they are happy to pursue this model. Brexit was of course the biggest threat to the UK economy and the country’s pharma sector in 2017, and will be defining issue of 2018. The government launched its Sector Deal in December, which is intended to help life sciences after Brexit and beyond – though its promise is more in reducing barriers to market, rather than new funding. The only true source of new funding could be through the public private initiatives such as the Patient Capital Review, which could unlock billions of new funding for UK biotech and R&D investment. There is no doubt that 2018 will be decisive. It is set to be the toughest year for the NHS in terms of the gap between its budget and demand. The pharma industry and government will also renegotiate a successor to the PPRS agreement with the Department of Health – with the increasingly powerful NHS England sure to have a seat at the table as well. 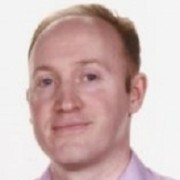 Simon Stephens has signalled that despite its new outcomes-based initiatives, NHS England still believes in the NICE appraisal system and the overarching PPRS pricing agreement is needed to provide the pricing and access structure for most medicines. The pharma industry will have to balance its willingness for an innovative pricing system against the predictability of the existing PPRS. Set against the massive unknowns of Brexit, and the worsening NHS financial picture, the industry may well opt for a ‘strong and stable’ pricing system to give it the predictability it needs for another five years.